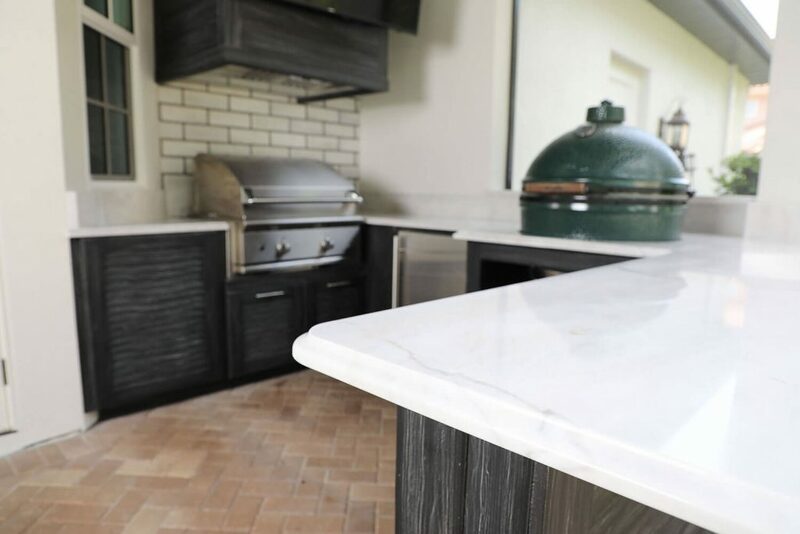 This project was part of a home remodel makeover the client was in the process of. 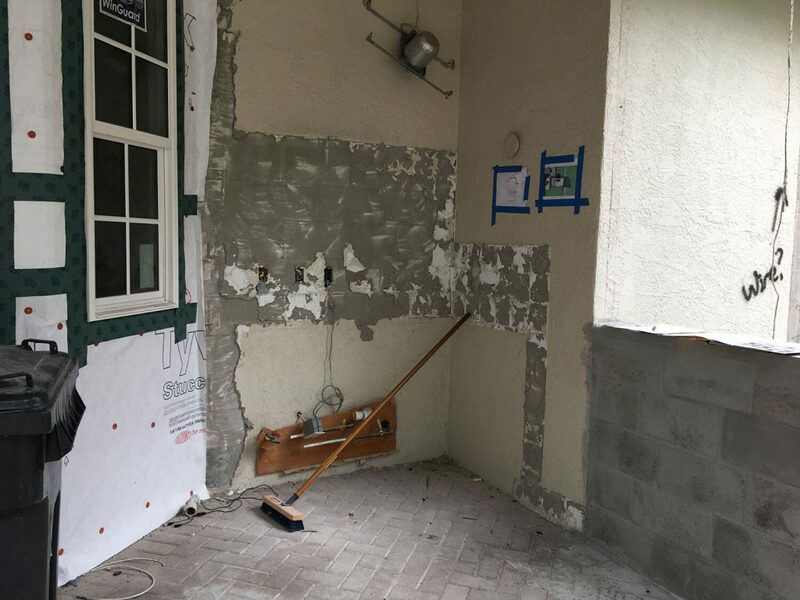 The kitchen area started as a blank canvas. In this space, we fit a gas grill, vent hood, kamado grill, TV, outdoor fridge and a few storage cabinets in the space allotted. The kitchen base is made from encapsulated polymer cabinets. These cabinets come in a variety of styles and colors. This particular color matched the grooved ceiling the client added. 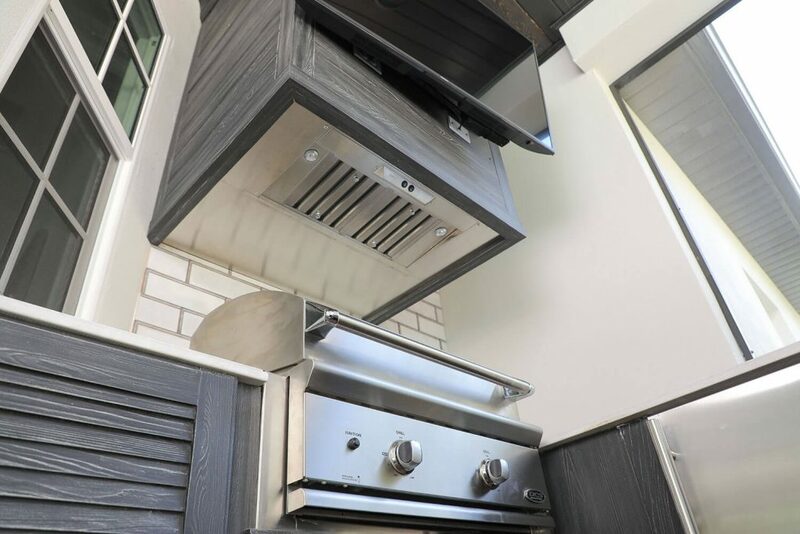 The vent hood will help keep BBQ contaniments out of the kitchen area and direct smoke up and away so the area stays clean. 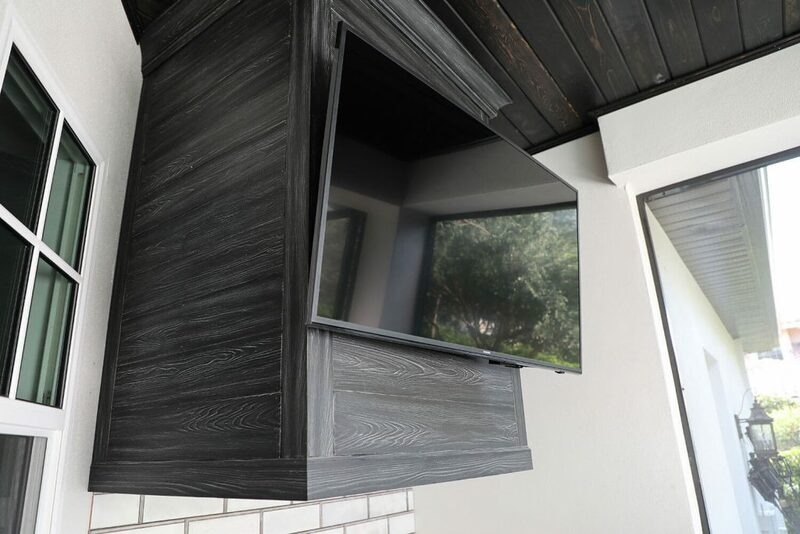 The vent hood is hidden by a polymer wrap which is a beautiful option to enhance the aesthetics of the kitchen. 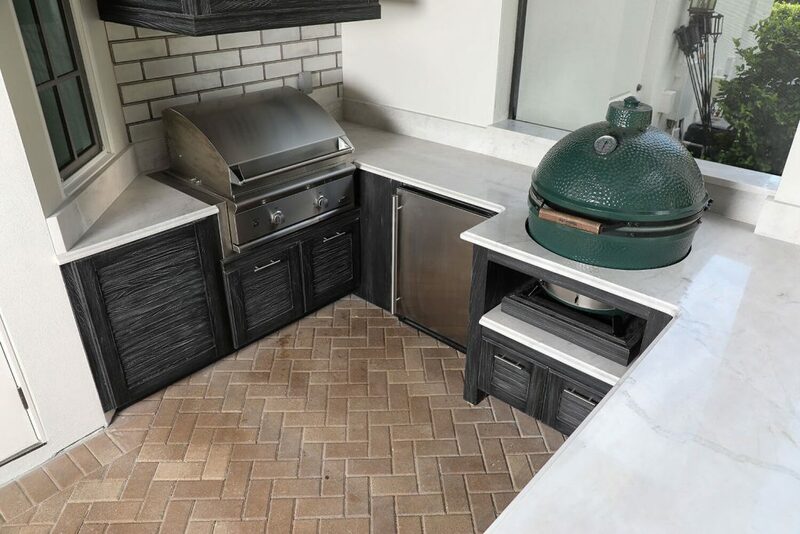 This kitchen features appliances from DCS Grills, U-Line and Big Green Egg. 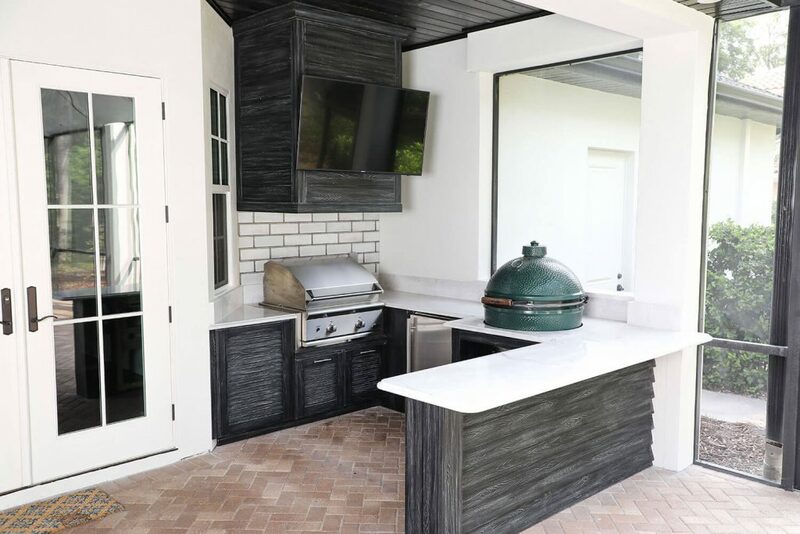 Just Grillin has decades of experience building in Big Green Egg grills and Kamado Joe grills.